This is very interesting and exciting puzzle game. 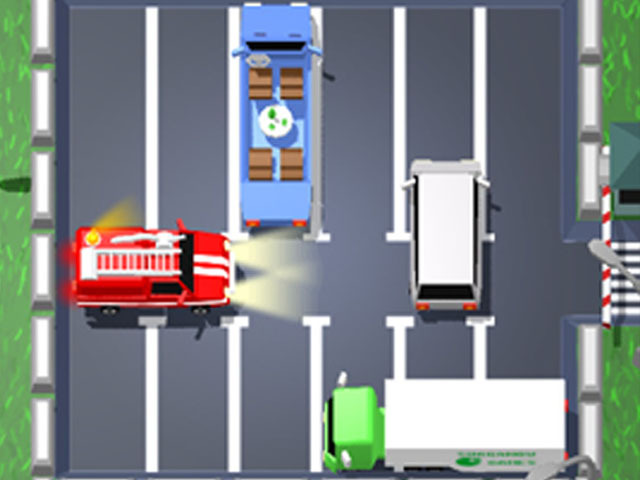 The objective of the game is to help emergency services leave parking by the least count of turns. There is three different main car types in the game: fire engine, police car and ambulance. This game has 384 levels, with 128 levels for each emergency car. You can decide yourself how to play the game - reach the maximum amount of starts or simply solve the puzzles with no rush. Unblock the Car game based on real animated 3D graphics, has perfect soundtrack and friendly user experience. Unblock the Car game is evolving your intellect, you can use this game to increase your grade level. It was designed for any age - from little kids to old people.